Fall is a season when many people are cleaning out garages, basements and closets. If you are not having a garage sale and some items look too good for the dump or if you do have a garage sale, but have some items left over, consider donating them to charity. You can get a tax deduction for whatever the item is worth. When you contribute non-cash items to charity, be sure to retain your receipts. 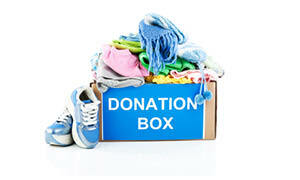 Also keep a list of items donated and an estimate of their value. Some of the charities, such as Salvation Army, have a listing of clothing items with a range of suggested values you can use to determine the worth of your donated goods. There are also computer programs available online for little or no cost that will help you value your contributions. The IRS has become stricter on charitable donations including non-cash contributions. Therefore, including more detail or better yet- taking photos of the items contributed is a good idea especially if it is a substantial amount. If you are considering a large cash contribution, a better option may be a gift of appreciated stock to a charity. You will be able to deduct the fair market value of the securities, without having to recognize the increase in value as a gain on your tax return. If you take the cash you intended to contribute and move those funds to your investment account, you’ll be left with more money in your pocket at the end of the day. You are currently viewing the archives for October, 2012 at McGowen, Hurst, Clark & Smith.